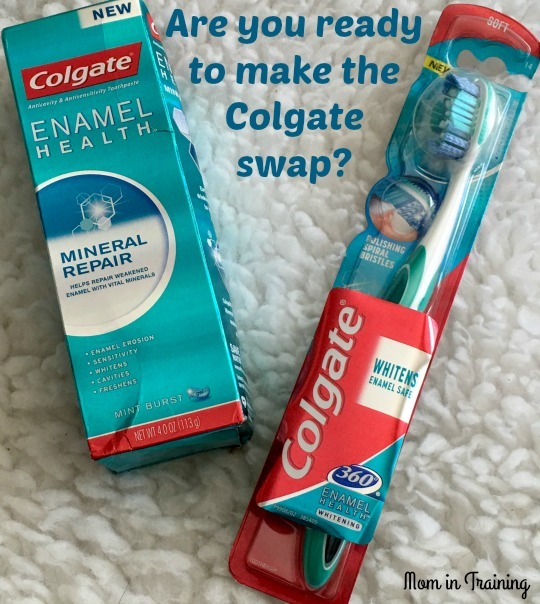 Stacy Tilton Reviews: Are you ready to make the Colgate swap? Are you ready to make the Colgate swap? One small swap to your daily tooth brushing regimen can help make a difference in overall wellness. Colgate Enamel Health Mineral Repair Toothpaste helps absorb essential minerals, such as natural calcium, to help strengthen and repair weakened enamel. I've already made the swap to Colgate Enamel Health Mineral Repair Toothpaste and I love the results I'm getting. So tell me are you ready to make the Colgate swap?